While their impressively articulate art-folk 2016 debut When You Walk a Long Distance You Are Tired quietly bled fractured sentiment and self-awareness, it's clear it was only a precursor for things to come on Mothers' brilliant sophomore release, the perplexing and abstract Render Another Ugly Method. Led by the inquisitive Kristine Leschper, the Philadelphia-via-Athens, Georgia band explore the human condition by analyzing the ownership of self and action, and the value of seeing yourself from many different outside perspectives. 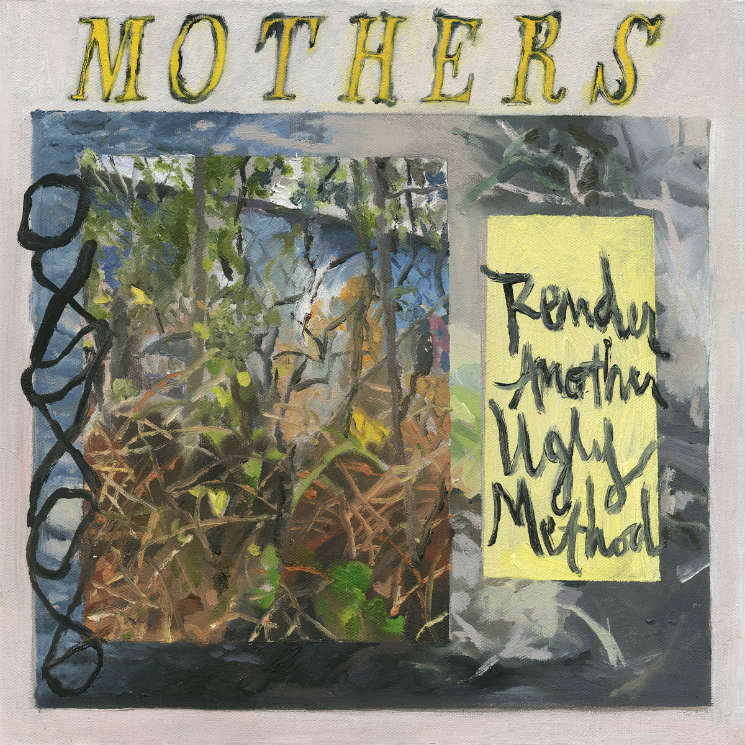 Render Another Ugly Method is often intentionally uncomfortable, and Leschper's stream-of-consciousness style of disjointed songwriting can make Mothers a challenging listen on a surface level. Yet, this uneasiness in structure complements Leschper's constant push to question any preconceived notions about ego and conventions. The seven-minute "Pink" starts out as a bristling post-punk song; contentiously eerie guitars and drums carry Leschper's vocals to a point where only a gurgling guitar line can be heard before the whole thing snaps into focus and the frantic energy of the band fades into static. On "Wealth Center/Risk Capital," the slow, lumbering introduction scatters unexpectedly to reveal Leschper performing a repetitive spoken word passage ("I am excited by the prospect of living without a body. I am ungrateful, and this proves it") over taut, jangly guitars. On lead single "Blame Kit," the agile polyrhythms propel the song forward along a serrated path before suddenly grinding to a wounded, drawn-out waltz. Leschper's delicate and forlorn voice is calm and soothing in "Mother and Wife," where the only accompanying music is ambient guitar soaked with disorienting reverb. The grievous tone feels spiritual and familiar and beautifully on the verge of falling apart.